One week on from the death of Michael Jackson, and the world's media is still in a frenzy. And as Jackson was arguably the most famous man on the planet, it's understandable. But what's going to happen next? Here's everything you need to know about the craziest week in Michael Jackson history. It was inevitable, really. Just as some believe Elvis is currently in a 7-11 somewhere buying muffins, it took only a few days for some weird websites to claim Jackson isn't actually dead at all and everything is a big ruse. MichaelJacksonSightings.com claim to have a picture of the singer taken 27 June - three days after his 'death' - while blogger Derek Clontz is convinced Michael Jackson faked his death ahead of the "biggest comeback tour in history". At the time of writing, 39% of visitors to Clontz's blog agree with him. And according to Elvis Presley and Jackson expert William Stern: "I'll make you a bet. If it takes six months, if it takes a year, if it takes two years, it doesn't matter: When [Jackson's] rested and ready, and pulls the curtain up on his faked death, the world is going to stand still." The fact that Jackson is 'alive' didn't stop OK Magazine printing a picture of the singer - close to death or actually dead - on their front cover. Unravelling the finances of Michael Jackson's estate will take years - after all, the ownership rights of Jimi Hendrix's music are still disputed nearly 40 years after his death. Jackson's biggest asset was his 50% share in Sony / ATV Music, which owns rights to The Beatles' back catalogue and over 7000 other songs. Jackson's share was estimated to have a having a net worth of $390.6m in 2007. But with The Beatles' music due on Rock Band very soon, their catalogue remastered for September re-release, and the songs undoubtedly coming to iTunes one day, the value now will be even higher. It's been rumoured Jackson left his rights to The Beatles songs to Paul McCartney in his will. Only time will tell if that's true, and even if Jackson has the right to do that. Jackson's main financial asset could pay off a heap of the debts he left behind, so Macca may not see his and John Lennon's songs returned very soon at all. A bidding war for The Beatles songs' rights would be sure to enrage McCartney. UPDATE: McCartney has now denied this was ever the case. But still there are no clear reports as to what will happen to Jackson's stake in Sony / ATV. Jackson originally planned to release a new studio album in 2008, featuring collaborations with Kanye West, Akon, Ne-Yo and Black Eyed Peas' Will.I.Am. It got delayed, due to Jackson's renowned perfectionism, but insiders say it's 'finished' enough to be releasable. In 2007, Will.I.Am said Jackson was looking at ways to use current technology to his advantage in releasing the album, particularly social networking sites and downloads. "Man, he still sings like a bird," Will.I.Am said. "He could go anywhere. I think we have a real opportunity to do something here. It's either gonna be really big or nobody's gonna care. Ain't no middle ground on this one." After the singer's death, many will care an awful lot. Just prior to Jackson's death, Akon described the new material as "incredible". The songwriter told Entertainment Week: "We're trying something he's never done before, and that's the challenge. There's not too much Michael Jackson hasn't covered. Just be ready for it." According to Ne-Yo (before Jackson's death): "It's tough when all eyes are on him and there is so much young competition out there. "This album needs to be better than Thriller. He wants killer melodies. He'll call me back and say 'I really like song number three, song number four the hook could be stronger. Song number one, change the first verse … Okay, bye.' Click. "And then I redo them and he's like, 'Okay, they're perfect. Send me more.' So I don't know what he's keeping, what he's getting rid of, what he's recording." According to Jackson's longtime friend, the spiritualist and author Deepak Chopra, the singer was working specifically on a song about climate change. Writing on The Huffington Post, Chopra said that Jackson had called him in an "upbeat, excited mood" on 24 June. "The voice message said, 'I've got some really good news to share with you.' He was writing a song about the environment, and he wanted me to help informally with the lyrics, as we had done several times before," Chopra said. "So I never got to talk to him, and the music demo he sent me lies on my bedside table as a poignant symbol of an unfinished life." There is understood to be other unreleased Jackson material including a cache of 100 songs that one of the singer's biographers, Ian Halperin, has claimed Jackson made for his three children. Halperin, author of Unmasked: The Michael Jackson Story, said before the singer's death: "He wants to leave them for his kids, a very personal legacy to them. I was told he will not let them come out now." It's sad to read now, but this could have been Jackson's last album anyway. Jackson told Ebony magazine in 2007: "[I won't keep making music] the way James Brown or Jackie Wilson did, where they just killed themselves. I wish James Brown could have slowed down and been more relaxed and enjoyed his hard work." Two weeks before he died, Michael Jackson apparently completed work on an elaborate production dubbed The Dome Project. It could be the final finished video piece overseen by Jackson. Jackson was apparently preparing to dazzle his This Is It audiences in London with a show in which 3D images - some inspired by his Thriller era - would flash behind him as he performed on stage. "It was a groundbreaking effort," said Vince Pace, whose company provided 3D cameras for the shoot, a system he created with Titanic director James Cameron. "To think that Michael's gone now, that's probably the last documented footage of him to be shot in that manner." The Dome Project was filmed over five weeks at Culver Studios in LA, the set for the classic movie Gone With the Wind. Four sets were constructed for Jackson's production, including a cemetery recalling his 1983 Thriller video. With 3D technology "the audience would have felt like they were visiting the Thriller experience, like they were there," Pace said. Shooting for the project lasted from 1-9 June 2009, with Jackson on the set most days. 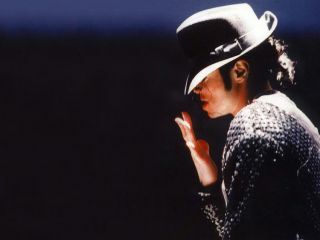 The project was in post-production at the time of Jackson's death, and had been expected to be completed in two weeks. But will it now be released? Promoters AEG have confirmed that Jackson was filmed was performing 11 songs and doing his trademark moonwalk during a rehearsal at LA's Staples Center a day before his death. "We have a live album in the can," an un-named official said. "He danced as well or better than the 20-year-old dancers we surrounded him with,' added AEG Live's Randy Phillips. "He was riveting. I thought this was going to be the greatest live show ever produced. He was so great, I got goose bumps." Pictures of Jackson rehearsing have already been released. No matter what actually happens over coming weeks, it's clear this is NOT it at all. For the Michael Jackson industry, it might even be a new beginning.